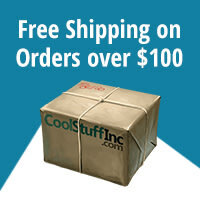 War is brewing as monstrous invaders gather on the far edges of the kingdom. 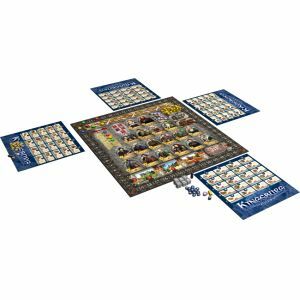 Take command of a province on the border and make a name for yourself with Kingsburg, a game of city-building and courtly influence. 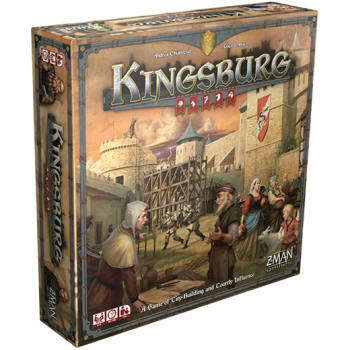 In Kingsburg, you must influence the King`s advisors and the royal family, itself, to gain the resources you need to build structures, improve your province, and defend it from ruthless invaders. To prosper, you must outmaneuver your rival governors to gain the king`s favor. 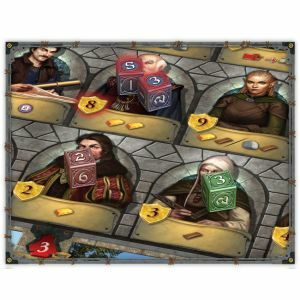 Only one governor will ascend to the Royal Council, so gather your resources, construct your buildings, and prepare your province - the future of Kingsburg is in your hands! 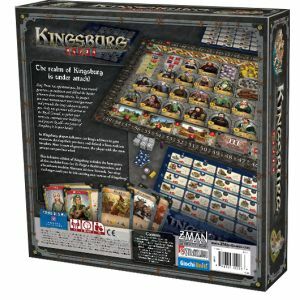 This updated edition of Kingsburg features all the modules from the To Forge a Realm expansion, as well as the brand-new `Alternate Advisor Rewards` module, which adds more options for developing your province.